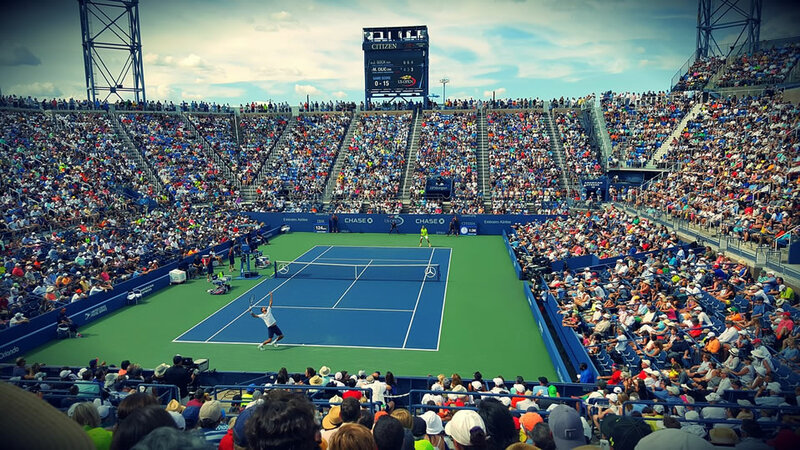 If you have been betting on tennis for a while but it has not paid off the way you were expecting to, you might be resorting to wrong strategies. Although nothing is set in stone in sports betting, there are some mistakes that only inexperienced punters tend to make. If you want to learn what to avoid when you are betting on tennis, keep on reading. This article will show you six common mistakes bettors tend to make when betting on tennis games. Research on top betting sites shows that handicapping is a common bet no matter what sport we are talking about, sometimes punters are tricked to make losing bets. A common rookie mistake is to take way too high handicaps on favorites who are clearly overrated. The handicap is usually used to even out the odds for the underdog and the presumed winner. Even though the handicapped player often ends up winning the match, sometimes it is a pretty close call. This is why it is a good idea to avoid too high handicaps since bookmakers are taking advantage of the fact that many punters overate the skills of popular tennis players. Often the surface of the court plays a big role in the way the match will be played. There are three possibilities which include hard courts, clay, and grass. If you want to make successful bets, it is important to make a thorough research of the location where the event will be held. Hard courts can be tricky as they may be fast or slow and it can be difficult to predict how this will affect the match. Clay surface is considered the slowest one and it usually benefits skillful baseliners. Those who are great in long points have the upper hand when the game is played on a clay court. Tennis players who are well-known for their serves usually benefit the most when the surface of the court is grass. You would be surprised what a big influence something like the court surface may have on the outcome of a tennis match. This is why it is a good idea to investigate the location of the upcoming event you are betting on. Another rookie mistake is putting your money always on tournament winners. It is true that such players accomplish wonderful wins thanks to their amazing tennis skills and fierce training. It is possible, however, that even big players to lack stamina, especially when their schedules are way too tight. Having no rest time may seriously affect the ability of skillful players and there are often cases when underdogs end up winning a match against recent tournament winners. It is possible that tennis players are trying not to overexert themselves if there are more upcoming tournaments. If you want to improve your tennis betting, do pay attention to the schedule of players and how much rest time they are given. This may be obvious but many inexperienced punters tend to bet on every single tennis game. Not only is this unreasonable but diving into irresponsible betting without making any research about an upcoming match may cost you your wager. You do not have to make bets on games you know nothing about. Remember that the best outcome usually comes from smart bets. Those are based on serious research and a proper knowledge of the players and the circumstances under which the match is played. This is probably a mistake that not only rookie bettors often make and it is most certainly not exclusive to tennis punters only. When you are placing wagers on your favorite player you are often biased and cannot make a real appraisal of the facts. Although you might be passionate about someone who has truly won plenty of tournaments and has shown praiseworthy skills, there is always the possibility that he/she might lose due to circumstances he/she could not control. This is why it is advised to avoid betting on your favorites and just enjoy the game. The same rule applies to matches with a player that you do not like. Again you are biased and cannot make an objective evaluation of the possible outcome of the game. Whether it is your favorite player or the one you hate the most that is playing, it is advised to avoid bets based on your biased opinion. This is for those who like to bet on accumulators. Putting your money on two or more matches together can be quite risky and you can easily lose a huge amount of money. This is why it is advised you stick with single bets which are always based on thorough researches. You might be lucky enough to win on accumulators occasionally but it is definitely difficult to do it all the time. This is due to the fact that in order to win an accumulator, all the legs in the bet must be successful and unfortunately there is always a chance that something may go wrong in a tennis match.